Our knowledge of the A36 family goes back to 1970, when an adult female with a severely damaged dorsal fin was one of the first orcas identified in the Johnstone Strait area. 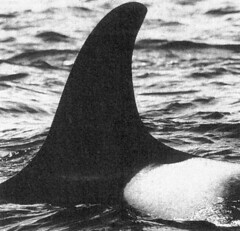 Called "Tulip" for the look of her fin & later "Stubb", she was given the designation "A1", i.e. the first identified member of the first identified orca family. When A1 died in 1974 the matriarch of the family became her daughter Sophia, A36, and the family became known as "the A36s". Eventually, in 1997, Sophia died. 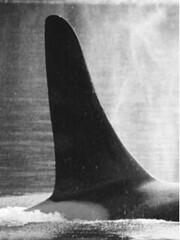 The family consists of three brothers, A32 (Cracroft), A37 (Plumper) and A46 (Kaikash). 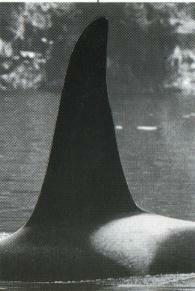 Huge males with distinct dorsal fins and voices, they are an unmistakable presence in the "core area". 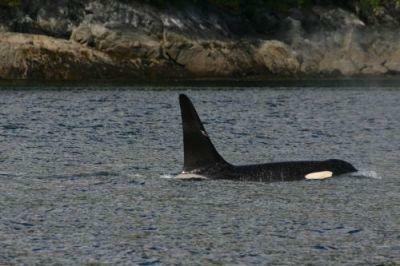 In 2010 Cracroft (A32) was missing en presumed dead. The two remaining brothers travels often with A12, Scimitar, the old matriarch of the A12 matriline. The incident occured on November 8th 2004. The three brothers appeared in front of Cracroft Point where a camera of Orca-Live recorded the whole event. They started porpoising through the water. They were chasing a small Dall's porpoise. This is very unusual, because the A36s are -just like all the Residents- fish eaters and they usually don't hunt marine mammals. The video below shows a part of the harassing. 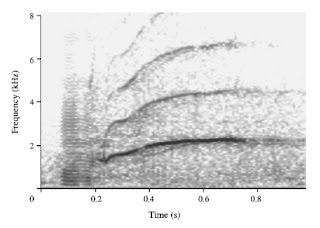 The call repertoire of the A36 matriline was characterized by a high proportion of N5 calls and the exclusive use of subtype N9iv. Compared to the A1-typical N9, N9iv is significantly shorter and, after the initial buzz, shows a steeper rise towards the end, which gives it a “squeaky” quality. 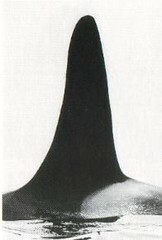 A1 was born in 1927 and died in 1974. A36 was possible born to A1 in 1947. She died on the age of 50 in 1997. A20 was probable born to A1 in 1953. 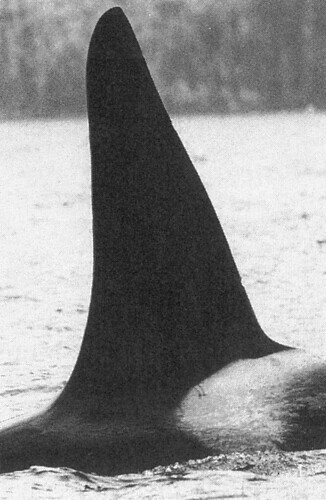 A20 was also called Wavy because of the look of his dorsal fin. He died in 1992 at the age of 39. A32 was born to A36 in 1964. A32 is the father of I42, Skuna. Skuna was born 1983 to I11, of the I11 matriline. 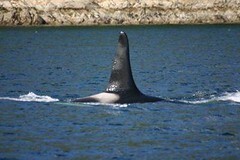 Early in the morning we received a report of Orcas at the south end of Campania Island heading nortwest along the shoreline.It turned out to be the brothers but this time we noticed something different. 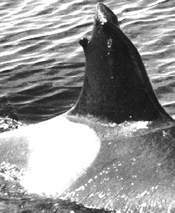 As we idled parallel to them we noticed something on the right side of A46 dorsal fin but could not be sure because of the sun was shining straight on his fin from the side. But later we saw it again and this time it turned out to be for real. 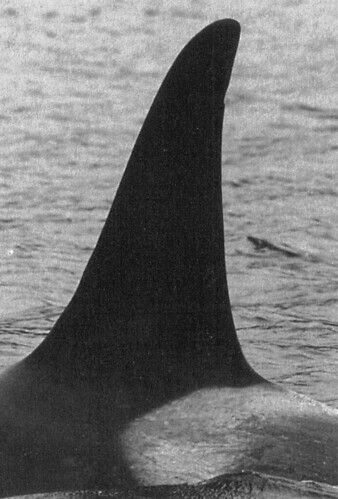 Looks like a big scar halfway down his dorsal with 3-4 streaks going up almost to the tip. Almost looks like he hit the rocks while chasing a salmon along the rocks. It must have happened some time between this morning and June 7th, because we did not notice it the last time.